Vanaire Crossflow Air Scrubbers effectively remove toxic fumes, mists, odors, and other hazardous pollutants from the air. 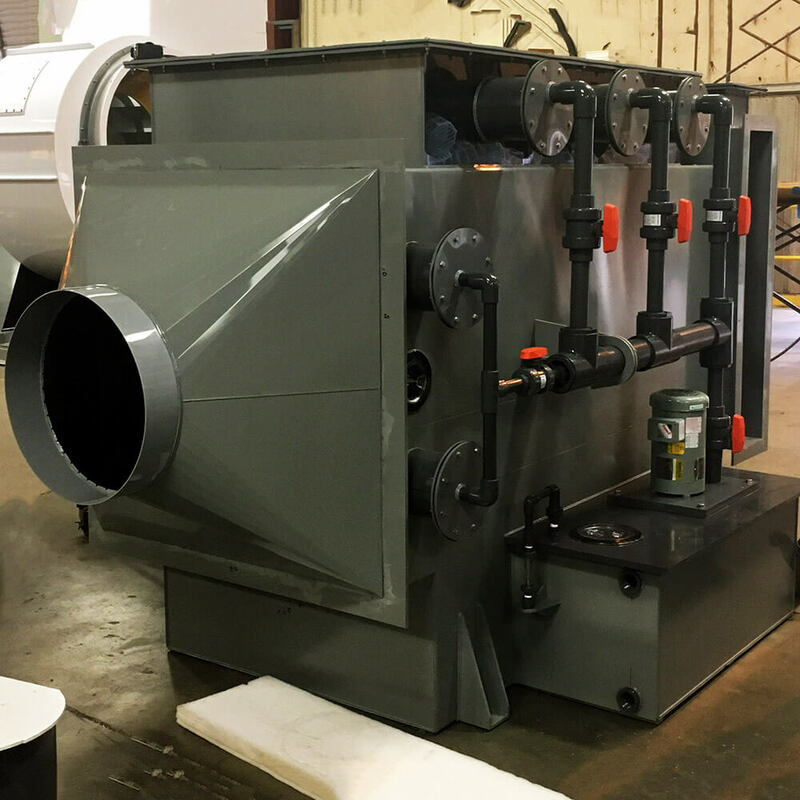 Our engineers are experts in using a wide range of corrosion-resistant materials, such as PVC and FRP, to fabricate multi-stage systems with tightly-sealed packed bed tops that eliminate untreated gases. Call Vanaire today so we can talk about designing and manufacturing your facility’s Crossflow Air Scrubber. Our engineers are ready to evaluate your facility to produce customized solutions for your space and needs.